The Loudon County Sheriff’s Office believes a body found on the Tennessee River is that of a missing woman. Authorities believe it’s the body of 31-year-old Elisha Carpenter, but they’re awaiting forensic test results. The body was found near the Polecat Boat Dock just before 11:00 Thursday night. 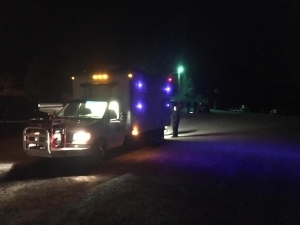 A fisherman in Loudon County reported the body to the sheriff’s office. Carpenter was last seen two weeks ago. She’s currently the only missing persons case out of Loudon County.